Day 02: For day two, my favourite fossil, Sciurumimus albersdoerferi. (Sciurumimus means squirrel-mimic, due to its feathery tail looking a bit squirrel-like. (Aside from the feathers, obviously. Look, it's hard thinking up names, okay?!)) Found in Germany, it dates from the late Jurassic, c. 150 million years ago. 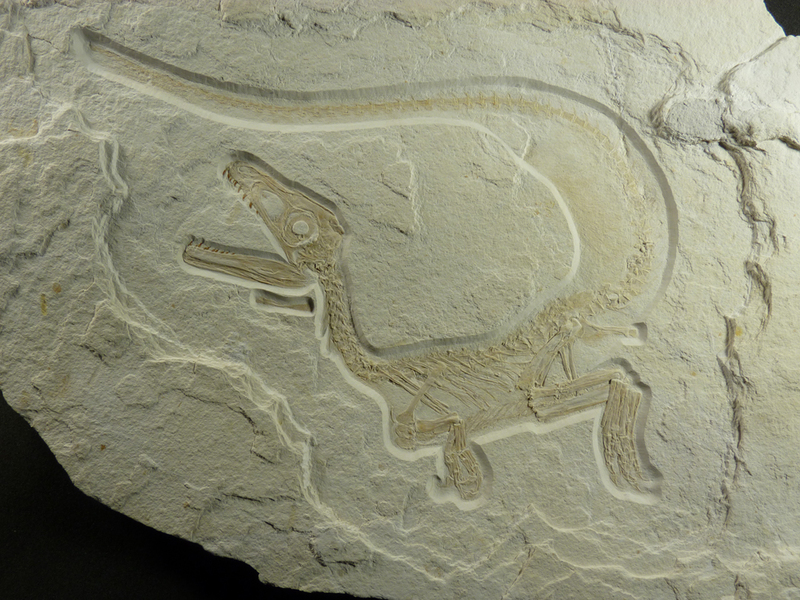 The fossil, first revealed in 2011, is superb. There's a 1000 x 750 photograph here.